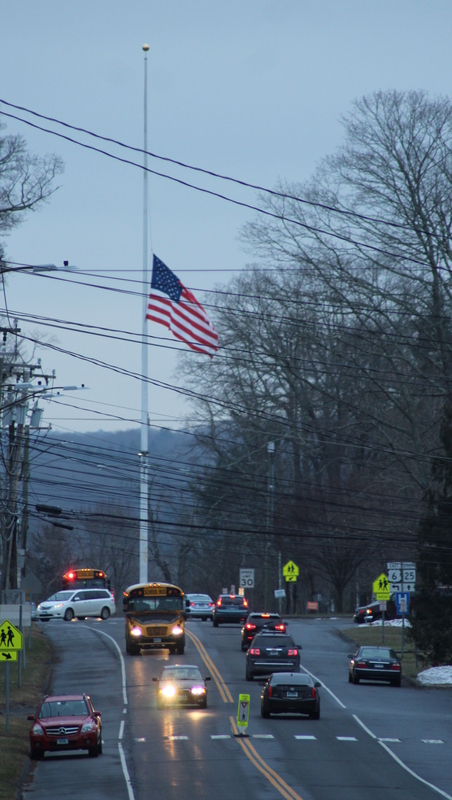 Governor Ned Lamont today announced that — in accordance with a Presidential proclamation directing flags to be lowered throughout the country in honor of former US Representative John David Dingell, Jr of Michigan, the longest-serving member of Congress in this nation’s history — US and state flags in Connecticut will fly at half-staff beginning immediately until sunset on Saturday, February 9. Dingell served as a member of the US House of Representatives from December 13, 1955, until January 3, 2015. He died on February 7, 2019. Accordingly, since no flag should fly higher than the US flag, all other flags, including state, municipal, corporate, or otherwise, should also be lowered during this same duration of time. Newtown Hook & Ladder firefighters have flag duty scheduled at the Main Street flagpole at 5 pm today. While applaud this Congressman's service and his service in the Korean War, is anyone else bothered by the fact he succeeded his father, a 20 year Congressman, and his wife was just elected to the same seat. 80 years in the same family, handed down from father to son to wife?